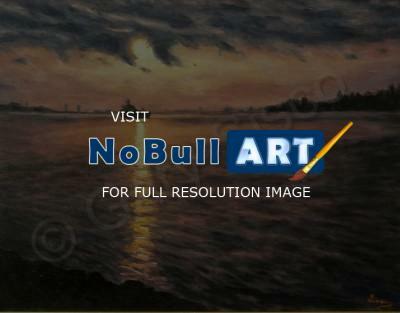 Original Oil on Canvas of a Freighter on the Missippi River at sunrise as seen from New Orleans. Gary Sisco is willing to sell this fantastic piece of art. I first thought it was a photo, I had to look again. I would say that's pretty good!